Bollards UK | Trade Prices & Next Day Delivery, Order Today! 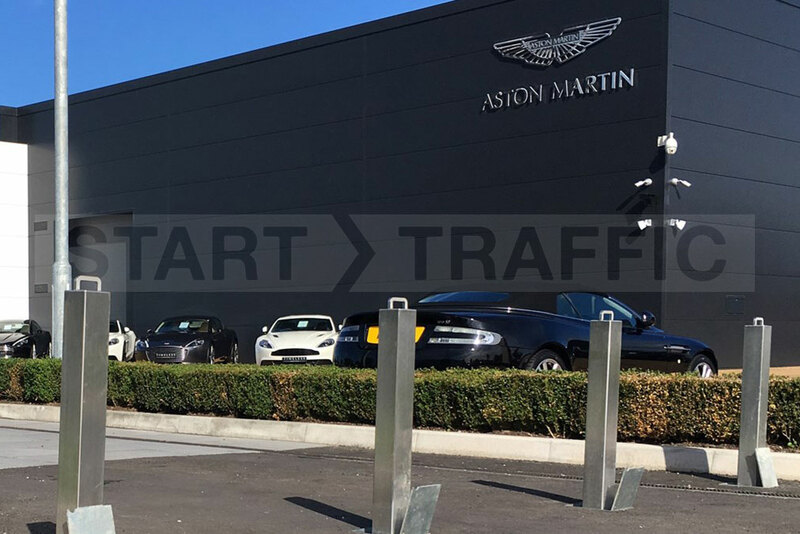 At Start Traffic we offer a wide range of bollards for all scenarios. The range of bollards that we offer come in many shapes, sizes and materials. Which material you require depends on the application you want to use the bollard for. We only stock quality products that we would be happy to use ourselves. This allows us to sell our range of quality bollards with confidence. All our bollards include fitting information and instructions making installation easy. This also ensures that you get great results from our bollards. The many types of bollards that are available are used by almost every sector of industry and even private homes. They are used by hospitals and schools to prevent inappropriate parking on verges. 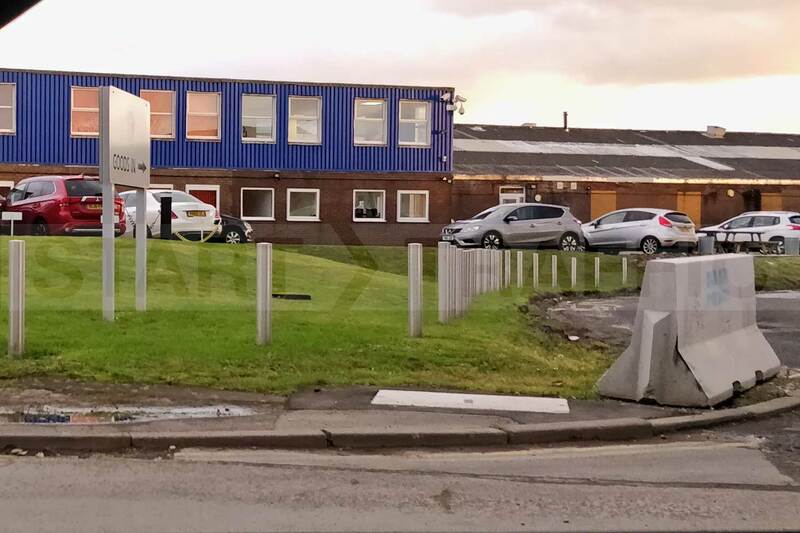 Industrial sites use bollards to protect expensive assets and ensure that vehicles are unable to access sites without passing security points. 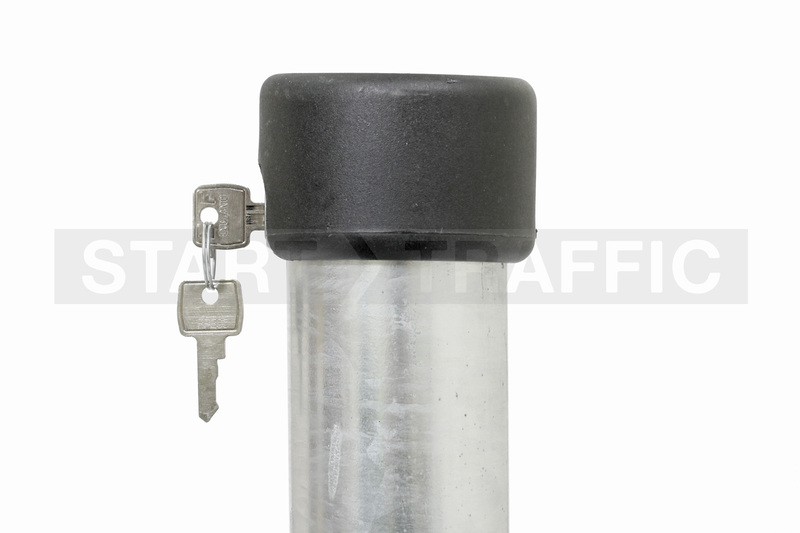 Commercial car sales lots use security bollards to prevent vehicles from being stolen. Home users often use bollards in the same way on their driveway to ensure that cars and vans are not stolen. What Types Of Bollard Are There? As we have already mentioned bollards come in a huge variety of finishes and materials intended for many different applications. With so many options available it is often confusing for the first time buyer. For this reason, we have set out a simple guide to the types, materials, applications and installations that we offer. Use security bollards to improve (as the name suggest) security. 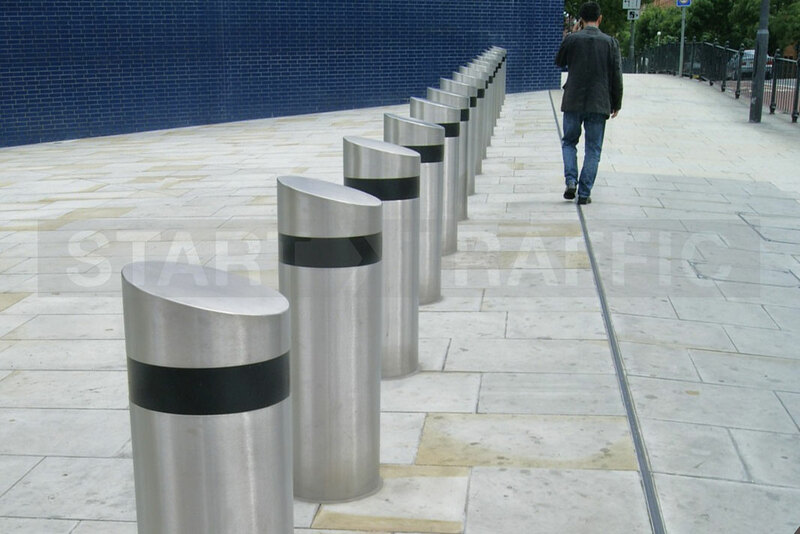 Security bollards are seen in commercial premises and domestic installations. They are used to restrict vehicle access, preventing either goods or the vehicles themselves from being moved in or out. A big favourite with car dealerships. Use Reflective bollards to warn of hazards and guide traffic. They are also used on pedestrian walkways and cycle routes. The reflective banding improves the visibility of the bollard ensuring it is seen even at a distance. 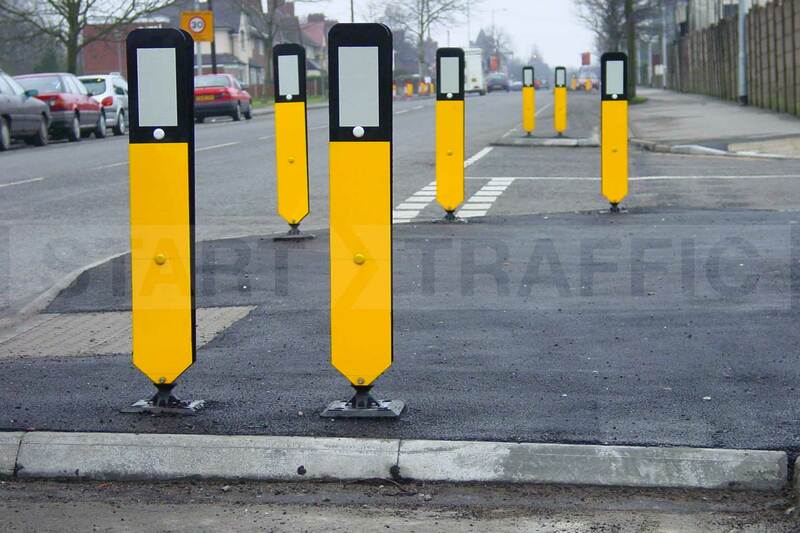 These are a subset of security bollards that are ideal for home use or parking restriction. Most frequently made from metal these hinged bollards pivot and lay flat allowing vehicles to pass over them. They can then be raised to once again block access. When you need a bollard that can be run over, it should be flexible. 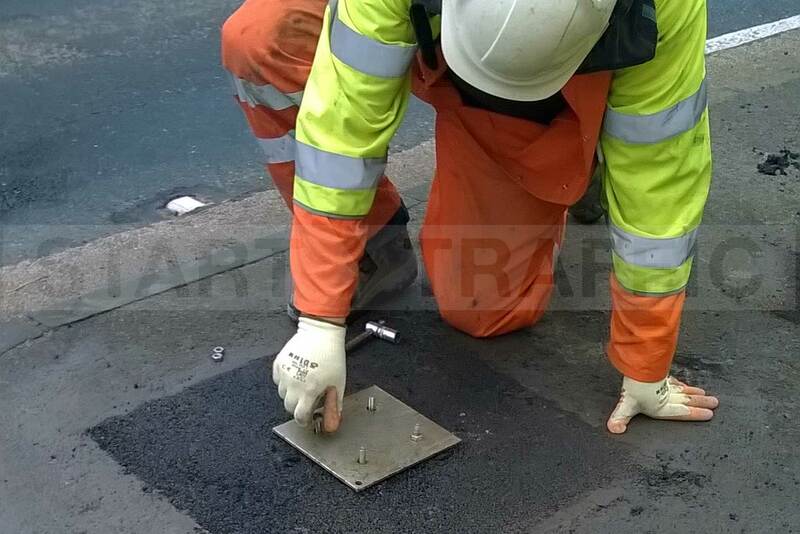 Installing a flexible bollard allows it to stand back up and recover from an impact. This makes flexible bollards ideal for parking areas and roadsides. Most flexible bollards are also reflective. Anti-ram bollards are fitted with a strong internal post. They are used to prevent shop fronts or other assets from being damaged by an impact. Almost always seen outside shopping centres to prevent ram-raiding. 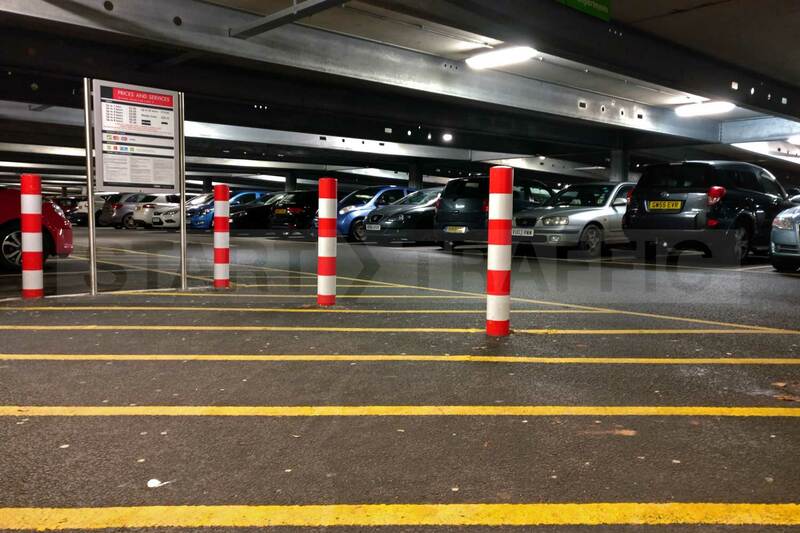 These are decorative bollards and can also be reflective, anti-ram and even removable. 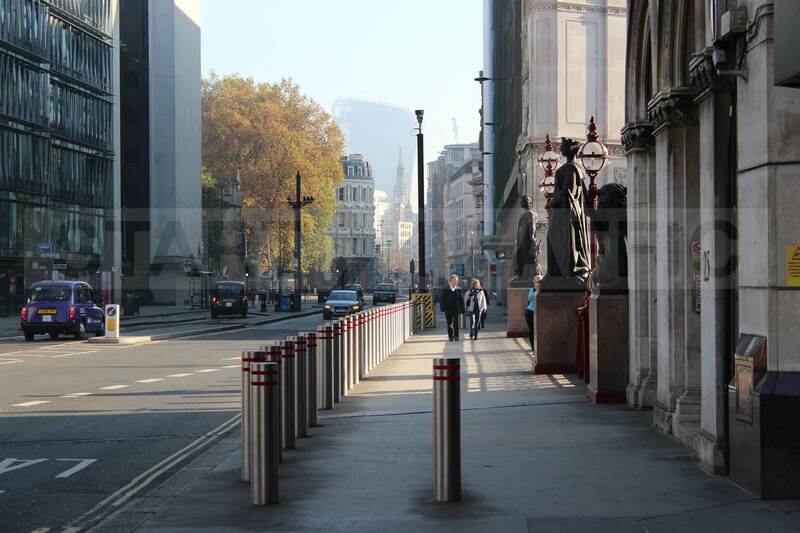 Street bollards can be seen on high streets and pedestrianised areas all around the UK. They are often used to guide vehicles through pedestrian areas improving safety. Parking bollards are used to serve two purposes. They prevent access to parking spaces that are reserved for specific persons. Flexible parking bollards are fitted to parking bays to provide an indication of where the front of the bay is. This will not damage a vehicle should contact be made. In some areas, it is not always desirable to have bollards permanently installed. Where this is the case removable bollards are ideal. They can quickly and easily be removed and provide access to traffic that would normally be excluded. This is ideal for areas where high street events require vehicle access. 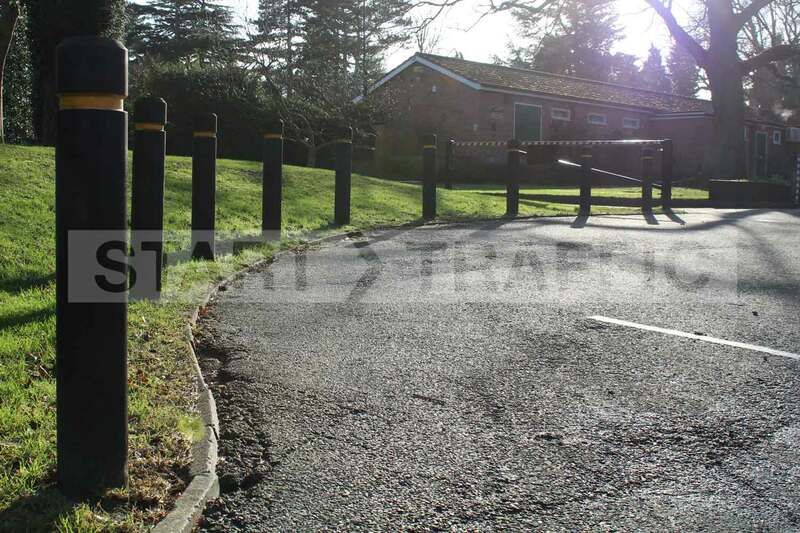 Driveway bollards share a lot of similarities with security posts. They are used by home users to prevent expensive vehicles caravans or equipment from being stolen. If you want to stop people driving over grass verges or parking on them then these are for you. They can be made from many materials, such as wood, metal and plastic. They block vehicles from driving onto the area preventing the ground from being damaged. You can see traffic bollards all over the UK road network. They are often seen on islands with a "keep left" arrow installed. Other types include lane delineators to help separate different lanes of traffic. How Hard Are Bollards Install? There are many ways to install bollards, this varies depending on the type chosen and the material or surface you are fixing them into. You can purchase a fixing kit with all of our bollards. We also supply instructions to assist with installation. All fixed bollards will need occasional cleaning to ensure that reflective surfaces stay visible. Otherwise, they are mostly a maintenance free item. Hinged bollards and removable bollards may need routine checking to ensure their mechanical functions work as intended, but this is simple and easy to carry out. How Much Do Bollards Cost? The pricing varies depending on the type of bollard and fixing that is required. Our cheapest verge marking posts cost as little as £10.95 + VAT compared to some of our more industrial grade items which can cost up to and exceed £400.00. This means that we have something to suit every budget and application. So that you, the customer can get the right item for your needs at a price you can afford. Plastic bollards make up a large portion of our flexible bollard range. Many of our flexible plastic bollards can be run over and stand back up again. Other plastic bollards can be fitted with a steel core, so they are still anti-ram. Our metal bollards are made from painted steel, galvanised steel or stainless steel. The desired look and application will dictate which material the bollard is made from. If you are replacing cast steel items we have an excellent low maintenance range of plastic items that look just like cast steel! These cost far less than their original counterparts. Timber bollards are excellent for use on heritage sites and woodland sites. They are low maintenance and excellent for protecting verges from unauthorised parking. Not Sure Which Bollard Is Best For your Needs? Call us today on 01905 794 875, our sales team will be happy to help you find the right bollard for your needs. Ensuring that your project runs on budget and ticks all the boxes. We stock a huge range of bollards on site ready to send straight out to you.